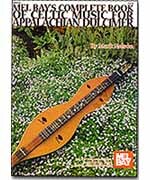 Mark Nelson's knowledge and love of Celtic music is immediately evident through his choice of tunes for this comprehensive book. Harp music, the piper's repertoire, and fiddle tunes from Ireland, Scotland and Breton are all well-represented here, and a thorough historical foundation is carefully laid. Mark provides samples of Reels, Jigs, Hornpipes, Strathspeys, Polkas, Mazurkas, Slides, Marches, Piobaireachds, Set Dances, Airs, Plaxties, Country Dances, Morris Dances, as well as music from Breton in northwestern France. The CD contains 20 of the 109 songs from the book.